Inder Loves Folk Art: Squeeee! 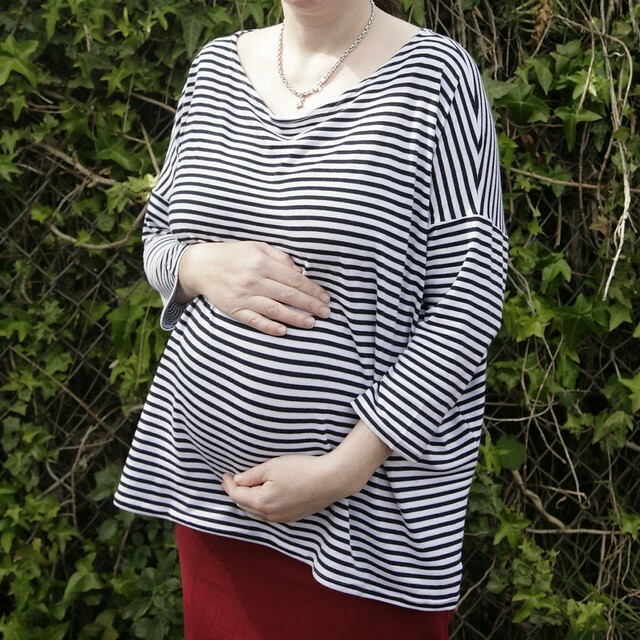 Oh my goodness, my stripey maternity top was chosen by Made by Rae's judges as one of the "Top of the Tops - Week 2"! I'm so flattered and excited! The other chosen tops are gorgeous, and I can't believe I'm in the line-up! 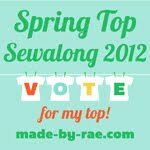 You can vote for your favorite top of the week here. I am not at all surprised to see this top in the line-up! So pretty! Off to vote! Like! Man, I'm so impressed at the quality and variety of those tops. Definitely some unique items you wouldn't be able to find in a store. eeee! Totally voted for you! Exciting. I wasn't surprised either.